Except Hearthstone already uses the exact same model. To have the best decks you either have to grind a lot of gold or pay real money. It's not pay to win, it's "pay or grind a lot to win". HotS is doing the same thing. This argument assumes that you need no skill or knowledge to use the tools (decks, runes, whatever) required to win. For someone who plays as much DotA 2 as you do, I find it hilarious that you're the one making this argument. Runes that cost pretend money to upgrade or not, I just finished a round of this in 18 minutes and had a blast. That's why I keep this game installed, and have uninstalled DotA 2 and LoL. You get gold from 3 sources: real money, daily quests like hearthstone, and when you level up. Out of those, only the level up gold is siginifcantly effected by playtime, since dailies are daily. Maybe 1 hour per day for the daily quests, which give about 500 gold per day, not counting gold rewards for gaining levels. Dailies take 2 or 3 matches, and you get 1-2 per day, rewarding either 500 or 250 gold if 2. So at most, 6 matches per day, which is about 2 hours, though you could probably get away with averaging 3 for the same gold rate. 5500 gold to fill out a single item, that's about 11 days of 1 hour per day to fill an item. Not bad, and I actually win matches in heroes, compared to Hearthstone. I am bad at Hearthstone, so the "win 1 match" daily tends to take a while. I think artifacts are a terrible idea. I've yet to be invited to the game, but I'm much less excited about it with this announcement. They started off US only but began sending out international invites a few weeks ago. There's even Australian servers now! Physically in Australia! Just in case you haven't already: make sure you've got the battlenet client, signed up for the beta in your account, and uploaded a recent copy of your system specs. Not sure what criteria they actually use for picking people for betas. I assume I got into the hearthstone one because I got the beta battlenet client (seemed to be the case for a lot of people) but not sure about this one. Only thing I can think of is that I spent money in the hearthstone beta. Bleagh. I understand the need for a gold sink, but this stuff annoys me so much in LoL. One great thing about hots at the moment is that you just pick a character and dive in - no setup, no waiting, no fretting you have right runes. i wanna macro while i micro my hero. jeez I dont know why mobas have so little traction on me. been in the alpha/beta for ages, and i feel kind of bad when I see people being antsy about not being in the beta. i feel kind of bad when I see people being antsy about not being in the beta. I haven't played in months! I don't like either of you any more. I think I fall somewhere outside Blizzard's desired demographics, because I didn't get a Hearthstone invite until the day before it went to open beta, (except for the one a GWJ'er sent me, thank you), and I've had my beta request in for HotS for months with not a peep in response. Let me in, Blizzard. I have disposable income! 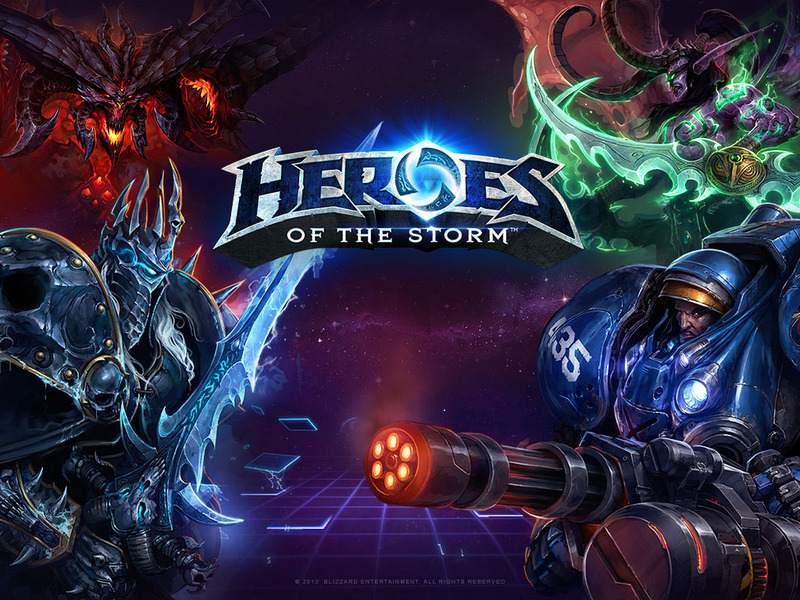 It's worth pointing out that HotS is still tech alpha, not beta. They're just much more selective at this point; I'd expect to see them really open it up when it hits beta. I now have abathar and brightwing. They are amongst the two most fun heros I've played in a moba to date. Both share the ability to suddenly appear and turn the tide of battle. Often a support in dota or Lol will just stick to their carry and help out, but the crazy shifting nature of hots really lets you have some fun wandering around. I had something like 33 takedowns on brightwing the other night, the next closest on our team was 25! I was Everywhere. zip zip zip. Both of them work really well with the invisible melee guy. Abathar can just infest him and add to the crazy burst, while brightwing can keep up with his blinking using blink heal for some great chases. I'm not sure how I missed that you can buy the upcoming Runes with real money, I swear the announcement said gold only. I rescind my earlier comments. I'm getting into the game a lot more, and considering how burned out I was a week ago on MOBAs in general I give it credit for rekindling my interest. Since one of my dailies was to play 2 games as Support I went with Tyrande then Malfurion. I really like that supports can both play the supporting role, but they can also dish it out when needed. I managed to defend numerous gates on my own, and when team fights started I'd just ult and carry my team to victory. Malfurion in particular was exceptionally good at this, his Tranquility ultimate is so good. I really like Malfurion, too. He's quite weak 1v1 but an absolute beast in team fights with his ult and being able to use roots to stop people escaping. Most of my successful games recently have seemed to be the ones where we only lane for a couple of levels then just group up and roll from objective to objective ganking anything in the way. The loss of xp from poor lane presence seems to be offset by the other team having equally low lane presence due to having 1-2 members dead most of the time. Not sure how I feel about it - team fights are fun, but it seems to take most of the strategy out of it. Maintenance is almost done, so sayeth Blizzard. I'm looking forward to the new progression tracking system and master skins. I like that they're rewarding you for both playing, but also if you want to for sticking with a single character. I don't think this is anything specific to Heroes. You're basically describing the change that happens in LoL (and probably DotA 2 as well) when you start transitioning from... I'll call it Beginner level play to Intermediate. If you watch the pro LoL scene it's all about map control and objective management, and given Heroes' focus on the map and objectives over laning/mechanics I would expect that to happen at even lower skill levels in Heroes. If you keep winning with this strategy, eventually you'll start encountering teams who know to respond by also grouping up, and the strategy will cease to be 100% effective. To paraphrase the meme, the real Heroes of the Storm starts there. I've been playing this a bit. Friend me up if you're in it. Logging in to 80k+ gold today was nice. Played a couple games with Rehgar, feels weird to have no direct damage spells but was very fun. Makes sense! I bounced off other MOBAs. I'll be on, but not in vent. Probably 9 Pacific, I'll look for folks. I'm on now. Since most people don't have their Bnet in their tags, add me if you want to group up. You have to add in-game, the overall Bnet friends list isn't integrated yet. Just played a couple of games with Shoal. I was playing Tyrael for my daily, he was playing Malfurion. 1st map was a pretty close match on the raven map, could've gone either way. 2nd map was the new one. This map is a combination of the mine and the dragon knight map, where you need to kill a bunch of creeps that spawn at fixed intervals. When you hit 100, one player can transform into this gigantic plant golem, which can completely destroy creeps and buildings, and has a polymorph that turns heroes into piranha plants. I killed the core, basically solo. We got the core down to ~30% with a pretty good team push with a golem, and managed to get another golem. The rest of the team was killing the objective creeps(and so was the enemy team), and we hit 100 tokens, so I grabbed the golem and ran it straight for the core. It was me vs 4 of them, the golem got the core to about 15%, then it dropped, I(as Tyrael) started wailing on the core, still alone, with the entirety of the other team attacking me. I die with the core at 5%. Tyrael's passive is that he explodes after dying, with a 3 second delay. So... boom. I've been playing a little more recently, mostly just co-op games since i'm never a fan of solo queue in MOBAs and most of my friends gave up after like an hour. I just sent a bunch of friend requests to people I missed the first time around. I'm looking forward to getting in on that sweet 50% bonus XP from playing with friends. EDIT: One of the aspects of this game I like the most is lack of different queues. It reminds me of LoL in the early days, before LCS and before Ranked when it was just about the game. I really like that and I hope Blizzard doesn't introduce a ranking system. If they do, then I at least hope they don't tie rewards to it the way Riot does. I remember that, that was the game with the worst team ever. They never pushed the objective, giving the other team the golem something like 3x, and when I pinged anything they ignored it, including our final push. I was there, but once my tranquility ultimate ran out they slaughtered me. I was about to flame destroy the team in chat for once again ignoring us and costing the win until I realized your exploding death just might do it. i just won a game where the other team got all 4 dragons. Not sure how they managed to throw that one! A game last night I was completely crushed by a team. These pickup groups are so bad that I bet any slightly organized team can easily have a 70% or higher win ratio. It seems like people do the opposite of what they're supposed to in pick-ups. People leave xp on the table by ignoring a lane. They don't push on objectives. They don't get mercs. They retreat when they have the win. It seems like most people just want to rack up the K/D ratio, which isn't going to win you the game if that's all you do. I was right, with a decent team we went 90% win rate.